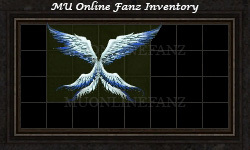 [Wings] & [Capes] <+> [MU Online Fanz] <+> Official 3rd-party [MU Online] Fan Site & Game Guide! 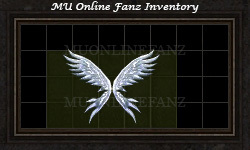 A pair of [Wings], or a [Cape], is an essential part of any character's development. These items greatly boost [Movement Speed], [ATK DMG], and [Absorb DMG]! They are divided by each character class and each class evolution. [Wing]\[Cape] increases [Movement Speed] greatly. 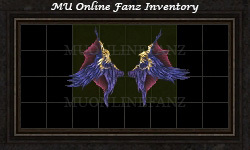 [Wing]\[Cape] allows access to the [Icarus] map. 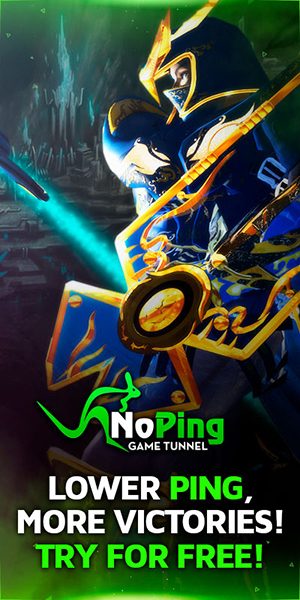 Alternatively, players without [Wing]\[Cape] can access [Icarus] by mounting to a [Dinorant]. 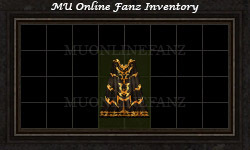 The crafting receipe requires a unique item obtained only from winning specific mini-games. 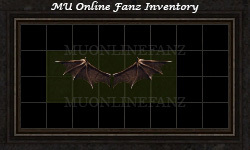 [Wing Options] are additional options only obtainable on [Wing]\[Cape] items. When crafted, [Wing Option] may be bound to [Wing]\[Cape] on a chance basis. 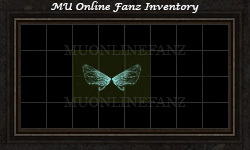 [Wing Option] can also be added via [Rare Item Ticket] exchange. 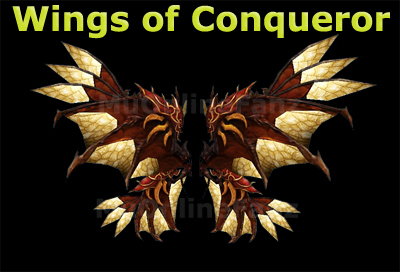 4 tiers of [Wings]\[Capes] can be crafted via NPC [Chaos Goblin Machine]! 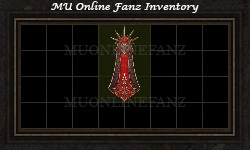 There are no [Tier 2] [Cape] items, technically. The required ingredients list only mentions the minimum requirements for crafting. All ingredients items are consumed. [+8% Success Rate] per [Lower Magic Stone]. 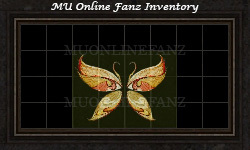 [+20% Success Rate] per [Medium Magic Stone]. [+5% Success Rate] per [Medium Magic Stone]. [+5% Success Rate] per [Higher Magic Stone]. Crafted via the NPC [Chaos Goblin Machine], these items can be equipped by [Tier 1] [Character Classes]. 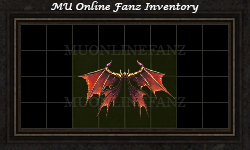 4 possible unique [Wing Option]. 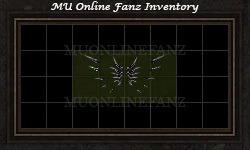 May only have one [Wing Option] bound to a single item. Crafted via the NPC [Chaos Goblin Machine], these items can be equipped by [Tier 2] [Character Classes]. Crafted via the NPC [Chaos Goblin Machine], these items can be equipped by [Tier 3] [Character Classes]. Crafted via the NPC [Chaos Goblin Machine], these items can be equipped by [Tier 4] [Character Classes]. 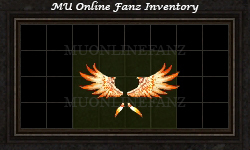 11 possible unique [Wing Option]. 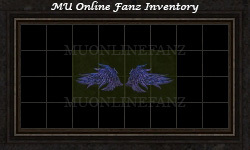 May only have 4 [Wing Option] bound to a single item. 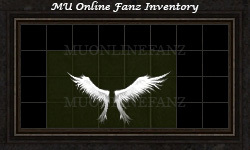 [Elemental Wing Option] can be added via NPC [Adniel]. 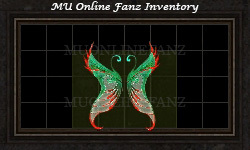 8 possible unique [Elemental Wing Option]. 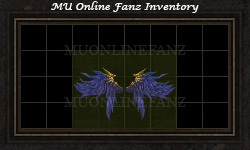 May only have 2 [Elemental Wing Option] bound to a single item. These items are mostly purchased via [Cash Item Shop] or they are rewarded from special events. 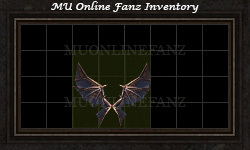 May only have 2 [Wing Option] bound to a single item. 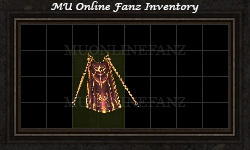 [Time-limited] items become [Expired] once the time limit is reached. Equipped [Expired] item's stats will not apply to the character. Unequipped [Expired] items cannot be reequipped. These items can be crafted from a special ingredient item, only obtainable via specific mini-games. 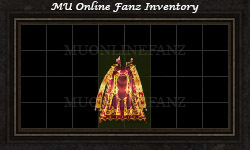 Crafted via [Conqueror's Badge] from [Chaos Castle Tournament]. 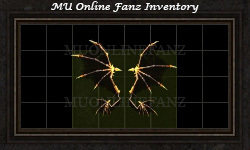 3 possible unique [Wing Option].